Take right off exit onto Faunce Corner Road. 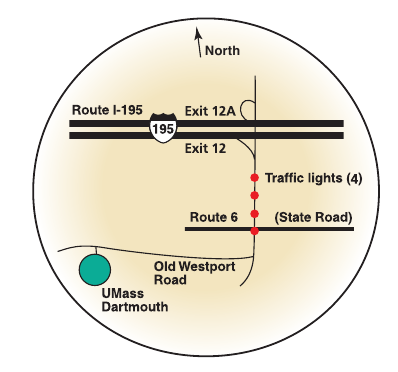 Proceed south, traveling across Route 6 onto Old Westport Road. At fork, bear right, staying on Old Westport Road. Campus is one mile on left. Follow signs to visitor parking lot 4.